The 4K video revolution is coming, and Sony's mysterious PS4 is going to be part of it - but gamers may want to skip investing in a new television that supports it. Joystiq reported Thursday that the Sony PlayStation 4 scheduled to arrive later this year will indeed output super high-definition video, but games won't be able to take advantage of it. 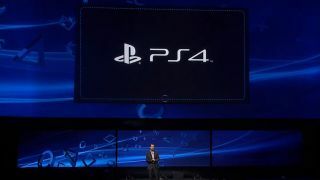 In an interview, Sony President of Worldwide Studios Shuhei Yoshida confirmed that the PlayStation 4 announced Wednesday night is capable of displaying what's known as 4K video output, but only for content that supports it. Much to the chagrin of gamers everywhere, that doesn't include games currently being made for the PS4, ceding the higher resolution playback to less-interactive media such as feature films. Sony's decision to support 4K video output on the PlayStation 4 doesn't come as a surprise - the company made a big push for the technology at this year's International Consumer Electronics Show. While Sony's CES 2013 booth may have put the spotlight on 4K, the company's decision to skip super-HD gaming on the PS4 is a clear acknowledgment that consumers aren't quite ready to adopt the technology quite yet. And with good reason: The 4K, 84-inch XBR-X900 television Sony showed off in January will set you back $24,999 (UK£25,000, AUD$24,370). Despite a pixel count four times higher than current 1080p HD technology, 4K isn't likely to catch on until there's more content to view - and a few good price cuts certainly wouldn't hurt, either.